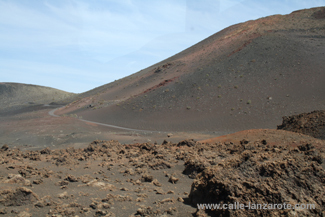 On my last visit to Lanzarote I discovered a book called “Cuando ardieron los Volcanes”, or “When the Volcanoes spewed Fire” as it is called in English. 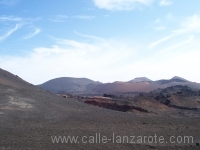 Published on the island itself, it is only a small book – 32 pages long and available in Spanish, English and German. It contains the notes written by one Don Andrés Lorenzo Curbelo who was a priest on Lanzarote during the volcanic eruptions between 1730 and 1736. His chronicle includes details of where on the island volcanoes were erupting and when, along with other seismic events and even which direction the lava was flowing and the villages that it had reached. Later he also talks about how the inhabitants took shelter on Gran Canaria. The book contains some stunning aerial photos of Lanzarote’s volcanoes, but also drawings of the island made to document the volcanic eruptions. These not only bring home the scale of the disaster, but are also of interest to linguists. 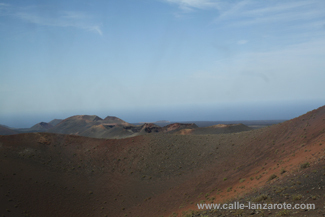 In 1730 the island’s name was spelt “Lansarote” and one of the volcanoes was called “Chimanfaya”. I have been unable to find the book on Amazon, but I did find a website on Tenerife listing the Spanish and English editions – albeit currently out of stock. I picked up my copy for 5EUR at the Librería España in Arrecife. It took me three visits to Lanzarote before I got on a camel. In fact, it was my daughter that really wanted to ride on one, having seen them on our previous holiday and being, in our opinion, too young then. 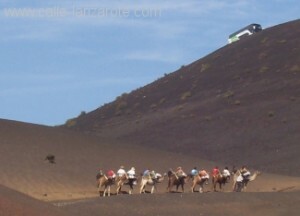 So this time we returned to the camels in Timanfaya and were surprised to see so many of them there. The reason was obvious: a number of coach tours were going on the same day, so extra camels had been laid on. We headed to an area away from the buses and were duly assigned to our camels. The price was 12EUR per camel, with each camel able to take two people. The trip up the side of the mountain and back down again took a little over 15 minutes. There are fairly new facilities built under the lava with toilets, a bar and a gift shop. We thoroughly enjoyed the ride, and I was also interested to read in a local publication (pp.32-33) that the camels are not only well looked after, but that their working hours are also strictly limited.